Update your Spring wardrobe whilst keeping warm in pretty candy colours. 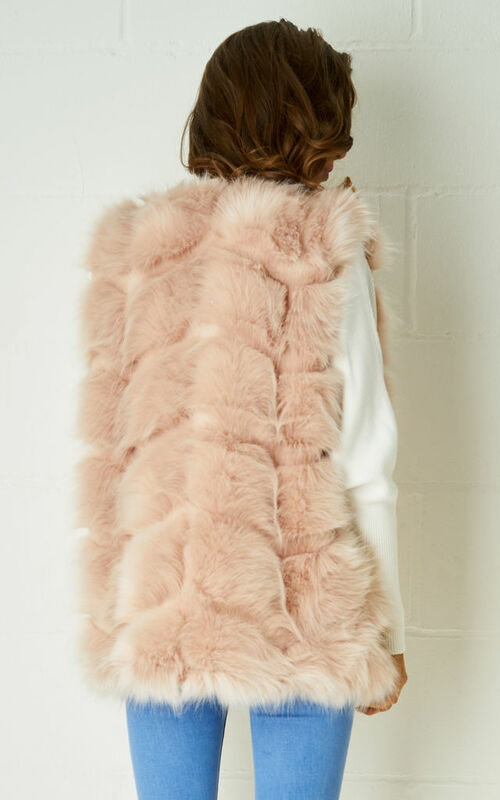 This faux fur gilet is designed to have a realistic look which also features side pockets. We love how it shifts so effortlessly from Winter to Spring in a pastel pink hue - just layer up on simple knitwear underneath.